You will be introduced to very comfortable rooms, such as: a room lined with wooden slats, a lounge room with balcony overlooking the river. There is also a museum like common space with two balconies looking over Debed canyon and a river. 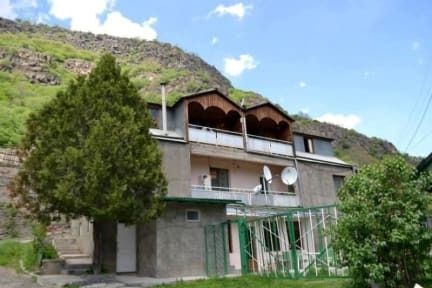 Here you can feel the pulse of the history of Armenia with some exclusive pieces one can only see in museums, which is what makes your stay even more enjoyable. 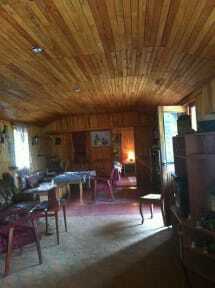 Besides, this guesthouse offers a great choice of rooms and can accommodate even big groups (up to 20 people). As to breakfast, the owner of the guesthouse cooks very nice, so you will be treated to tasty dishes. You can also taste delicious homemade food, and have a pleasant company during your stay. Check in from 10:00 to 20:00 . Check out between 12:00 and 13:00.